We took over Thursday night at the annual three-day gift shopping extravaganza aka the Chi Omega Christmas Market. 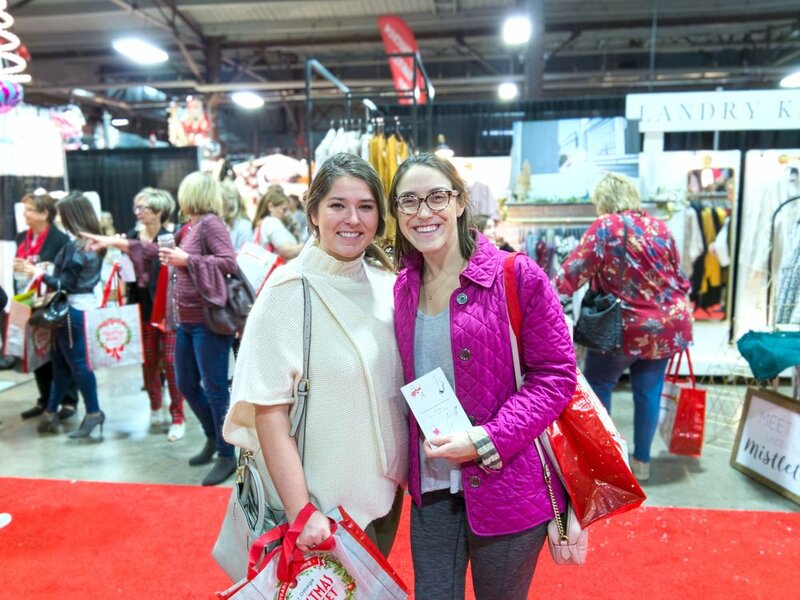 We invited in girls to enjoy exclusive and special vendors for the evening, as they perused the hundreds of other vendors at the fair. 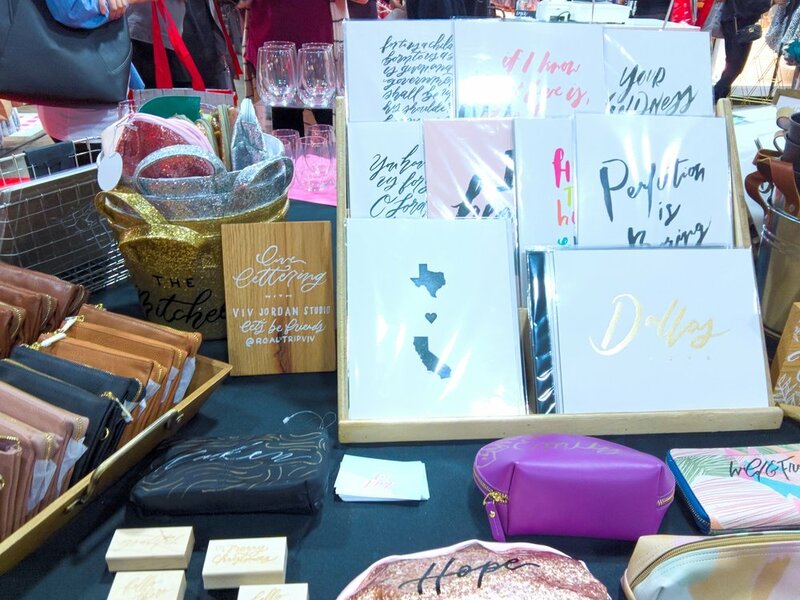 Lushra selling her custom glassware like wine glasses with the Dallas skyline! 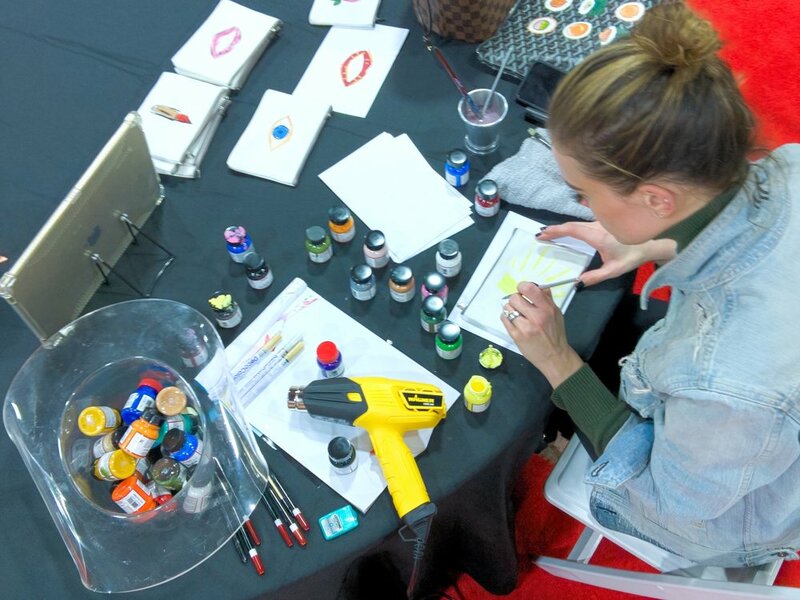 Viv Jordan Studio offering complimentary hand lettering demos and hand outs, custom ornaments, signs and holiday paper goods for purchase! LunchboxWax offering giveaways, raffle prizes, and discounted future services. Vivian's Boutique Spa offering complimentary mini massages and seasonal spa products!